What Should I do if I Am Attacked by a Lion? Lions are very protective of their cubs, and will attack if they feel they are in danger. 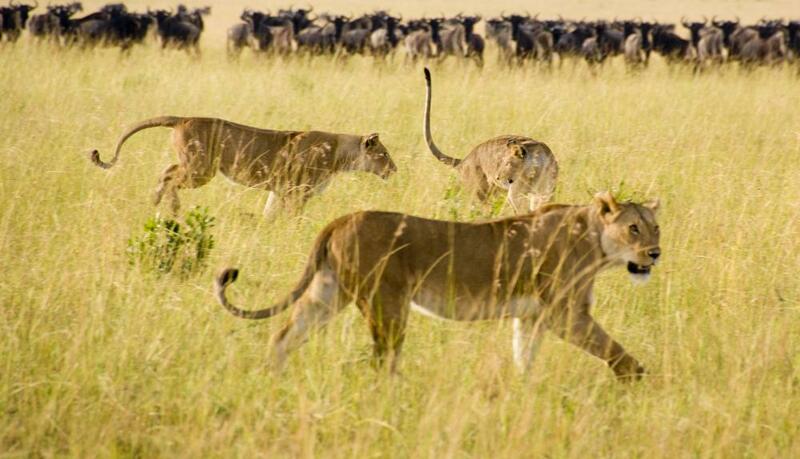 Lions generally hunt in packs, which is why traveling alone is not recommended. Mountain lions are nocturnal, so you're more likely to encounter them at night. Most lions in the African wild are much larger than their North American relatives. Lions don't hunt humans and will avoid them when possible. Being attacked by a lion in the wild is an extremely remote but real possibility. While it may seem impossible to survive a lion attack, many people have been able to fend or fight off the animals and escape. The best way to avoid any animal attack is to take proper precautions before ever entering the wilderness. 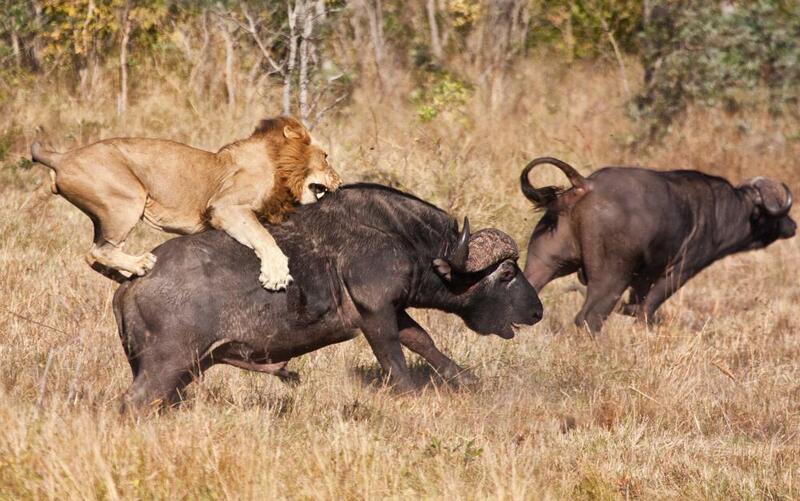 Lions do not usually hunt humans for food, and they will try to avoid confrontation most of the time. Never approach a lion in the wild, particularly if it is a cub or has cubs with it. If you are concerned that the animal may be injured, leave the area and contact a local wildlife agency. Lions are fiercely protective of their young and will attack if they feel cubs are in danger. Experts recommend that you never approach any animal in the wild, regardless of how cute it may be. To help prevent lion attacks, several precautions can be taken. 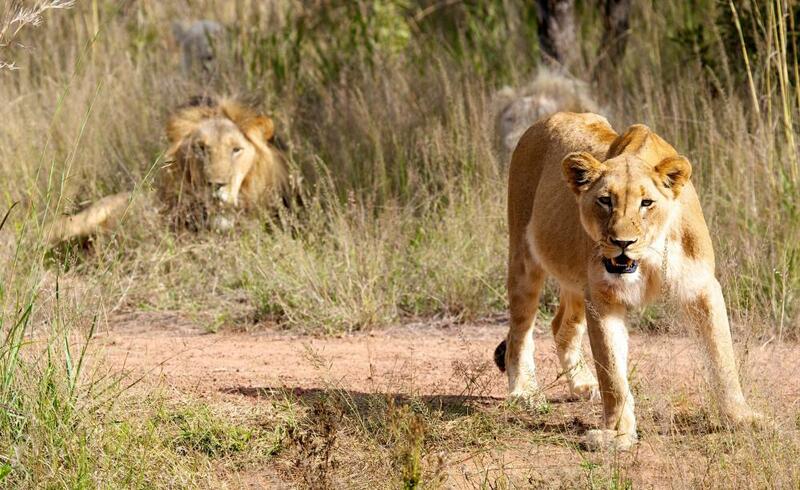 Do not travel alone, as lions are less likely to attack a group. Experts recommend that you do not bring dogs or children into lion ranges, as they may be viewed as prey. Pay attention to recent lion activity in the area, and contact local rangers to get updated information on sightings. In years when lions’ food supply is scarce, they are much more likely to venture into populated areas or hunt anything they can find. Most lions, particularly mountain lions, are nocturnal hunters. If these animals are found in your area, you should not hike between sunset and sunrise. Not only are you more likely to encounter a lion in these hours, you are less likely to notice one nearby. It is important to know what type of lions live in the area you are visiting or living in. 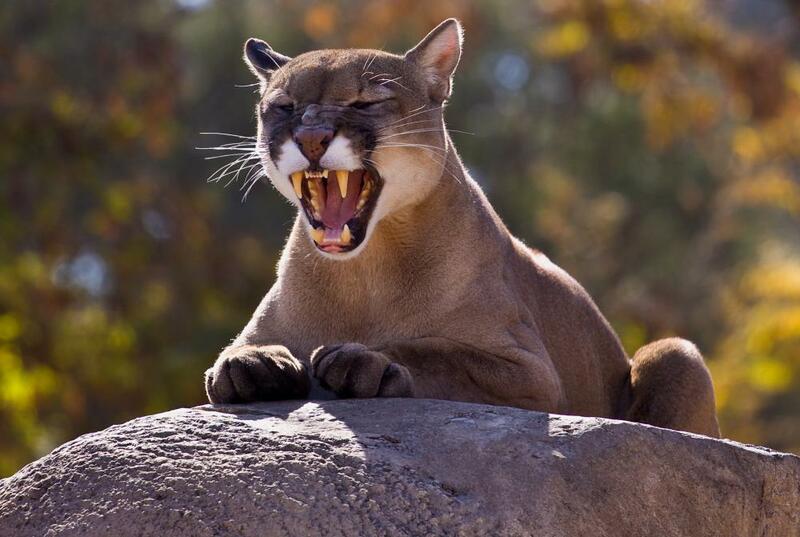 If you are in North America, you may encounter mountain lions, also called cougars. They are not "true" lions, belonging to a different genus, but are still quite dangerous. In Africa or Asia, you must be on the lookout for several subspecies of lion, which are much larger than their American relatives. While escape strategies are similar, mountain lions are more easily frightened away and usually pose less of a danger. If you see a big cat of any type, do not try to run away or turn your back on the animal. Try to appear larger, in anyway possible. Wave your arms and make noise, as this may frighten away the animal. If you have a child with you, try to put him or her on your shoulders, to make you appear even bigger. If a mountain lion appears to be ready to attack, throw anything you can find at it. Rocks and sticks are usually readily available, but do not turn your back on the animal. Try to aim for the animal’s head if possible. While your goal is not to hurt the lion, take whatever precautions necessary to survive. Unfortunately, these precautions may not save you from being attacked by a lion. If you are charged, try to remain standing, as the lion will try to get to your face and throat. Punch and kick the animal, aiming for the head and eyes. These tactics may seem futile against a powerful animal, but many documented reports exist of people being attacked and surviving by fighting back. 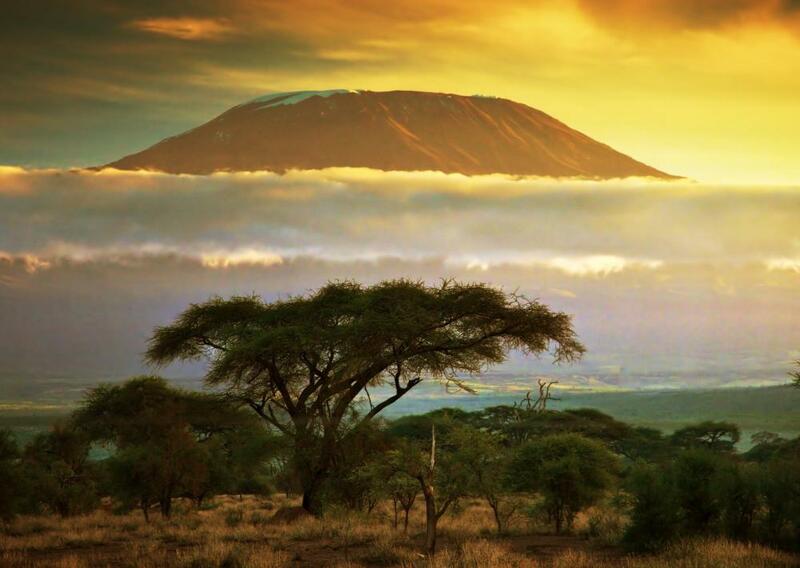 Regarding African or Asiatic lions, it is never recommended that you hike without a guide in lion ranges. Though it is rare, some singular specimens of these animals have been found to actively hunt humans with staggering success. Walking in a group with an experienced guide may help prevent being attacked. If you are taking a car tour or safari and spot a lion, do not, under any circumstances, get out of your car. Lions are apex predators and extremely strong, but humans must remember that these cats need our protection and maintenance to survive shrinking habitats and plummeting food sources. Even when lions wander into populated areas and attack, many experts point out that it is the humans who have trespassed into the lion’s former natural range. Being attacked by a lion is a terrifying concept, but bear in mind that the animal is trying to survive, and despite being a predator, needs protection and respect to exist on the modern Earth. Can an Animal Survive without Its Head? What Is a Mountain Lion? Anon118307 has it right. I doubt you will pray while a big cat is ripping your flesh with its teeth and claws. When someone or some thing is attempting to kill you and you are not willing to fight back with everything you've got, then you will probably die. You may die any way and will undoubtedly die some day. Just not as some cats' prey. A knife 7 inches long will reach the vital points of a human being from any angle required, I would prefer one 9 or 9.5" length for protection against a cat or other such animal. Canines or coyotes aren't even a threat. They're easy. your attitude about it may. Being aware of your surroundings is the best solution. Having hunted for food and been in RVN, I do not enjoy killing of any kind, but I will be more than ecstatic to be the one who goes home to kith and kin. While smaller, these cats are in Florida too, but you probably have more to worry about from sinkholes. Do you think roaring at the animal for a long time would scare the animal away? Why don't you just try staying out of lion habitats? Why disturb the lions? @anon85312: No, no, no! Remember, you have the responsibility to not injure the lion as it is trying to eat you! You may smack its nose and eye area (but not the actual eyes) but if that does not work, you are to let it eat you. The tone of this article suggests that humans are interloping aliens with a responsibility to protect the lions that are attacking them. Why not save time and just say "Do Mother Earth a favor and let the lions eat you"? Interesting. So it is the opposite from the case of bears, which will normally leave you alone if you make yourself uninteresting. In the case of a bear, it sounds like we are dealing with an animal that survives by being inquisitive and thereby more able to locate easy or abundant sources of food, and the trait supporting this behavior is that it is relatively impervious to just about anything harmful. Lions seem to be a more methodical, more logical predator that realizes that injuries can impede it in the future. Perhaps this is related to the fact that bears are an omnivore, whereas lions are obligatory carnivores. A lioness trying to feed a litter, for example, would have very good reason to take whatever prey didn't punch her too hard or throw things at her. Over five years countless lost lives resulted in burials of the dead near the newly laid tracks. It is believed that the two maneless scavengers may have repeatedly unearthed and eaten the remains (all lions will eat carrion) and in the process they cultivated a fondness for easy meals if not an actual preference for dead human flesh. It probably didn't take much for the pair to adapt to stealthily killing humans (with our puny teeth, no claws and pitifully slow escape speed) including one worker who was attacked while sleeping and dragged away. Some man eaters were injured/crippled lions that were unable to pursue their normal prey or they had broken canine teeth. In desperation they would gag down "a foul smelling human" (thanks to Peter Hathaway Capstick) when driven by hunger. Even otherwise healthy orphans that have to fend for themselves can become man eaters under compelling circumstances. Historically those that feast on human flesh have to be killed to stop their predation on humans. The Lions Of Tsavo are on display (after 100 years they're pretty much completely hairless) at The Field Museum in Chicago, IL. and they are pictured at their website. Are you sure lions don't hunt people? If you see an animal that's dangerous to you, I would follow these tips, and if things get worse, then my best advice to you is to start killing it till it runs away, or you'll become its food. It's not that difficult to understand this article. well, if you got attacked by a lion you would die, no question. so this is really rather stupid. oops. I almost: forgot if you are attacked by a lion, the most important thing to do besides pray is call 911. Stay safe. gee that's a tough one. well if i was attacked by a lion, the first thing i would do is pray and pray some more and probably during the my moments of prayer I would panic. I guess my thoughts are if I were that worried about being attacked by a lion, i would relocate to somewhere like florida. If anything, it would be smart to bring a long blade or knife of any sort when entering such territory. Using a knife if you are attacked by a lion would definitely increase your odds of surviving; just try to strike it in the eyes or throat. well said ! this article is absolutely helpful but i've been wondering that, should we try our best to kill the big cat if that's the only way we could survive while being attacked? meanwhile i really do not hope, so i'm just a little confused here.